Mailing is one of the effective ways of human communication. Before technology took over our conventional ways, people are used to sending email cover letters to relatives or friends in faraway places. Today, there are new ways of sending mails, and the new generation is liking them better than our old, conventional ways. Email or electronic mail are messages delivered through the use of technology and electronic devices. We’ve learned the different ways of writing and sending emails, as well as the main email etiquette to follow. Still, there are more things we need to know about emails in general. 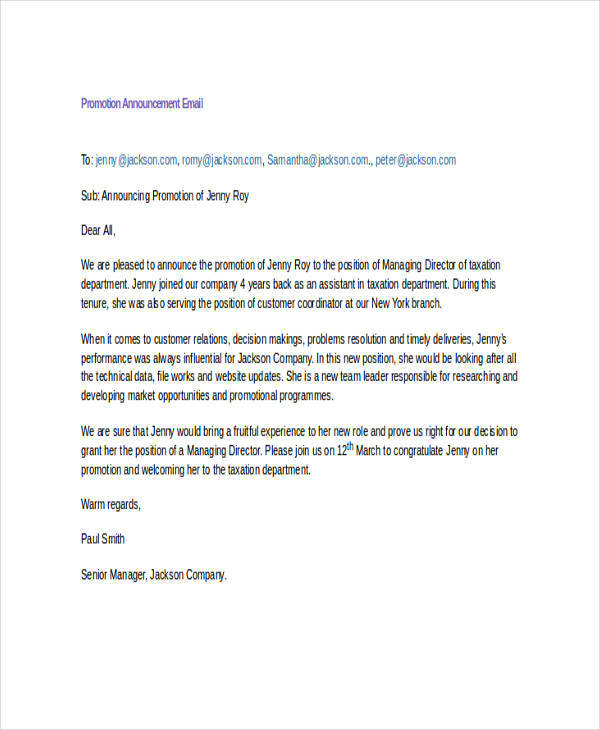 In this article, we will learn about announcement letters, so read more. What Is an Announcement Email? 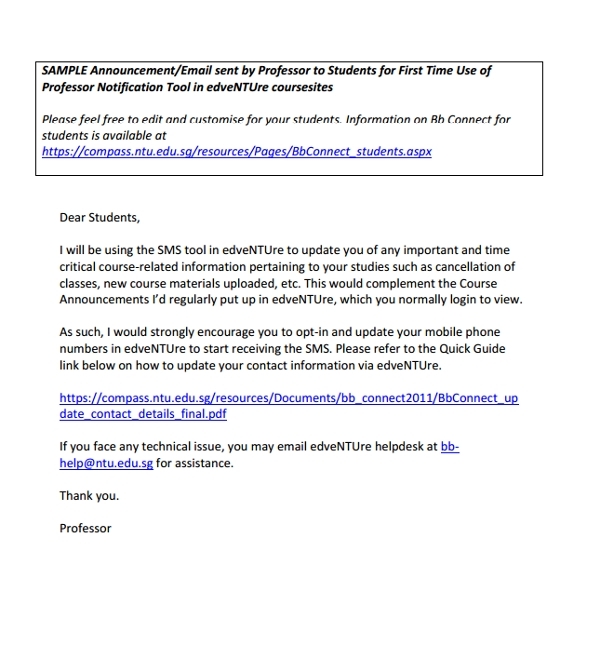 An announcement email is an formal email that announces or declares information about certain subjects. 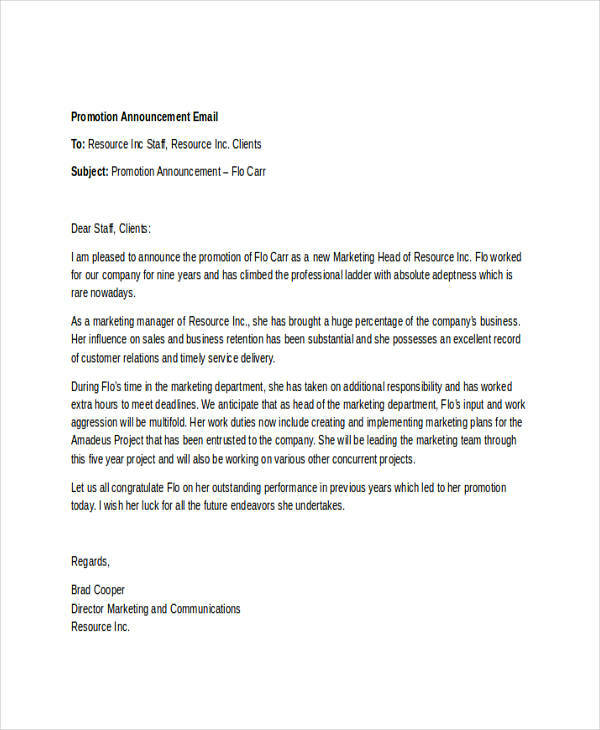 Typically, an announcement email contains details on incidents or occurrences, those that already took place, or those that are supposed to take place in a certain area, such as an office or a workplace. 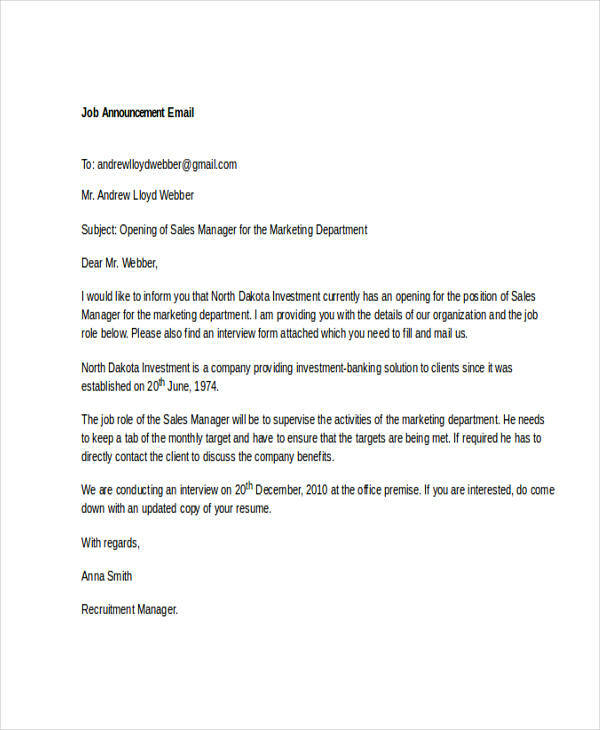 For instance a new employee announcement email is sent to the staff of a specific department, announcing that a new employee is joining the said department on the date specified. 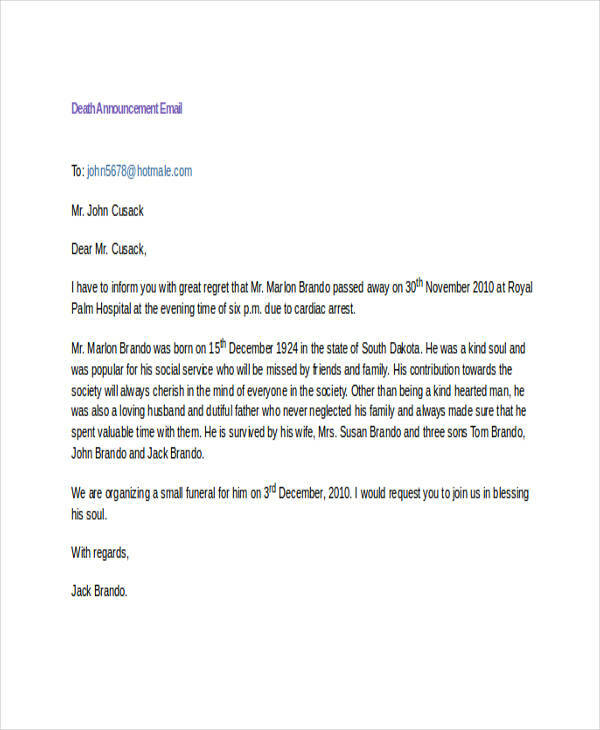 An announcement email’s main purpose is to announce or declare certain incidents or events to a particular group of audience. 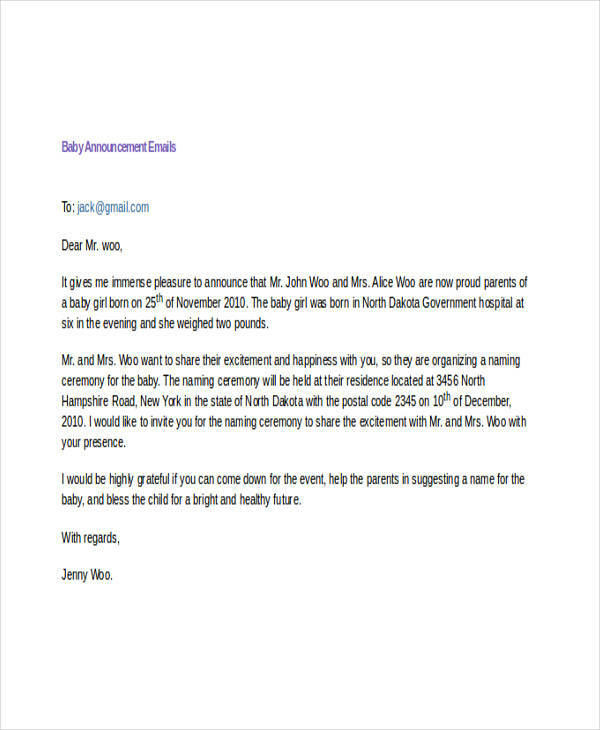 Announcement emails are necessary especially in sending information about past or upcoming events, especially those concerning the recipients. 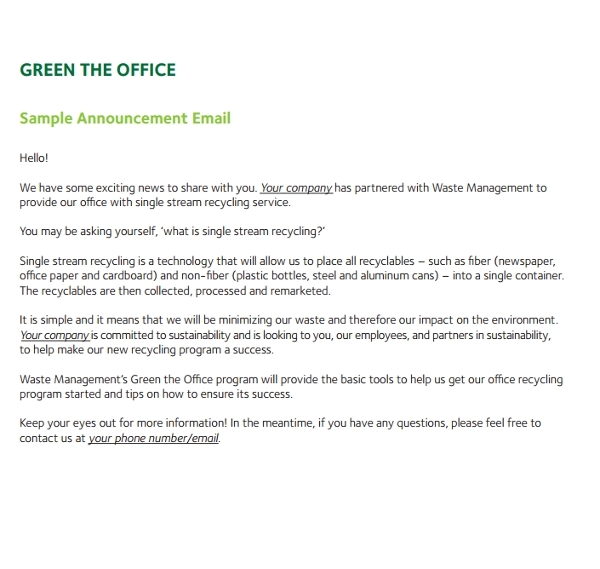 You may also see application email examples & samples. It is the sender’s responsibility to announce such information, and by sending an announcement email to certain recipients, he/she will be able to do the task quickly and effectively. Professional emails can be sent simultaneously to a group of people, thus will save much time than informing people one by one—saving time of both the sender and the recipients. This is considered to be effective in announcing particular facts since this can only be seen by specific individuals, thus only those who are concerned. 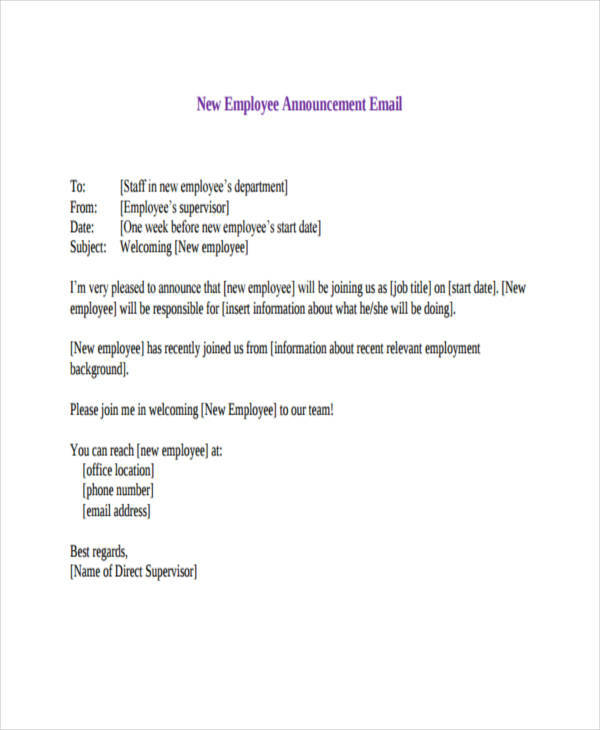 Announcement emails, like other types of emails, provide a proper way of communicating with other people. 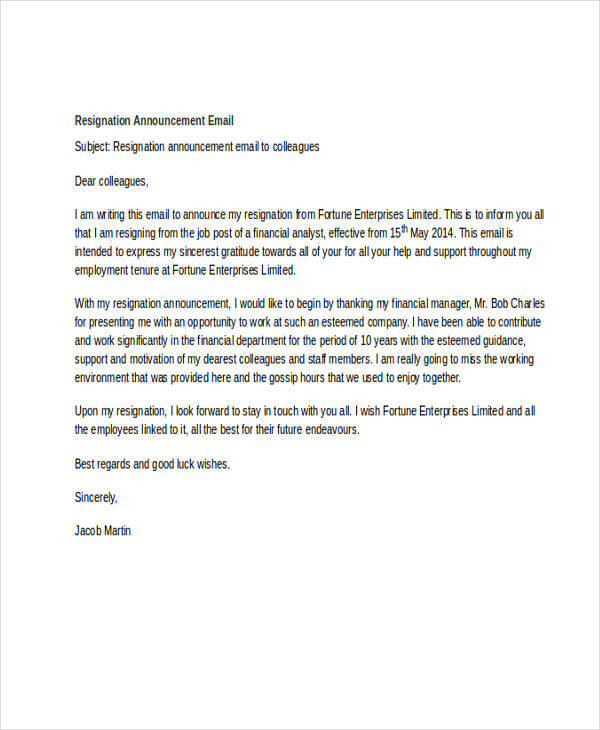 Writing an announcement email in pdf might be easy to some, however writing an effective one is a whole different story. 1. Determine what kind of announcement to make. You may write this on the subject line of your formal email (e.g. promotion announcement, if you’re announcing someone’s promotion). 2. Begin with the most important information. Make your announcement directly at the beginning. Most of your readers may read only the topmost part of yourself email. 3. Write clearly and briefly. Say all the important things, and exclude unnecessary and unrelated points. Still, take not of the words and phrases you use—keep them simple and clear. 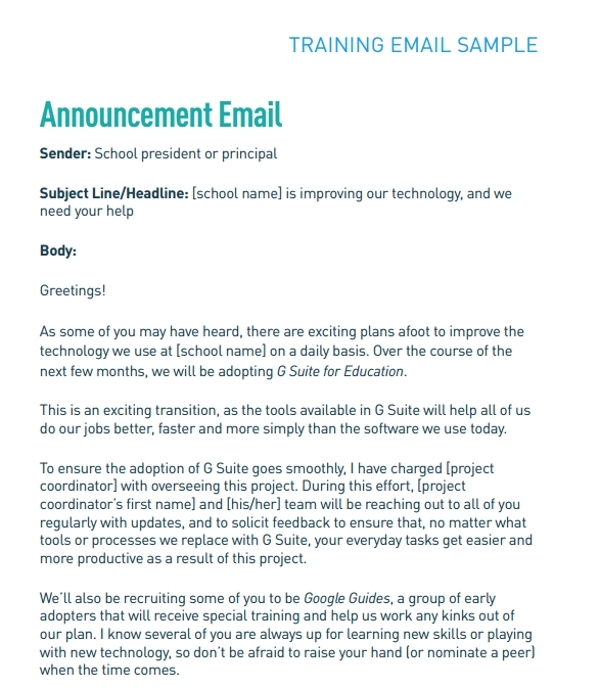 You may also see introduction email examples & samples. 4. Keep your email organized. Organize your the information, organize your writing, so you don’t confuse your readers. Keep a formal tone from beginning until the end of the mail. Structure your sentences in a polite manner. 7. Proofread your work many times before hitting send. A sent email signature cannot be retrieved, so always check the information you provide for accuracy.